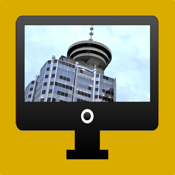 Latest tech news, events, and jobs in and around Vancouver, British Columbia, Canada. Take quizzes with questions similar to those on certification tests such as PMP, Network+, A+, ITIL. Challenge your friends and co-workers. See who has the highest score in the quickest time! Swipe to the left, and connect with Facebook and Twitter. Follow your friends and their activity via the news feed. Message your friends for free. Get your local weather forecast. Be sure to send feedback via the feedback option in the app!